Although many student-athletes at Bowdoin are fortunate enough to take advantage of acres of playing fields and Farley Field House, one team prefers grass fields for grazing instead of playing soccer. The Bowdoin equestrian team has embarked on a new season, bringing horseback riding to beginners and advanced riders alike. After an incredible performance at Regionals at Dartmouth last weekend, the Bowdoin equestrian team had its first rider in at least four years qualify for the next level of competition. 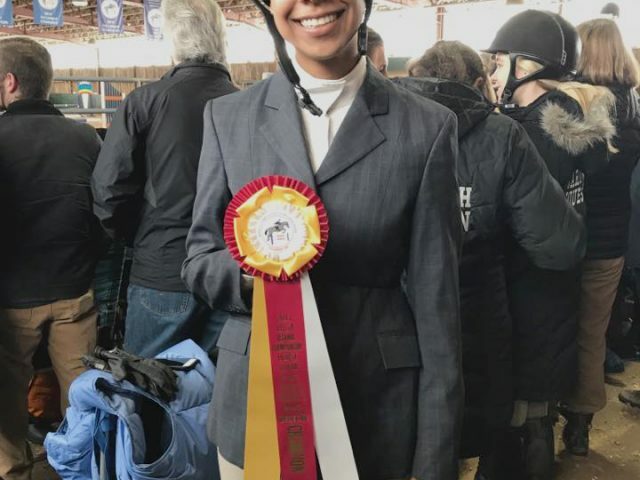 Captain Carly Lappas ’17 took second place in intermediate jumping and qualified to advance to the larger and more competitive Zone 1 championships, which will be held at Mount Holyoke tomorrow.